God is your shadow at your right hand. The Baal Shem Tov taught that God acts toward individuals accordingly as they act toward other people. Thus, if people are willing to forgive those who have offended them, God will similarly overlook their misdeeds. If a person is very judgmental and reacts with anger to any offense, God will be equally strict. The meaning of, God is your shadow, is that a person’s shadow mimics his or her every action. At a therapy session for family members of recovering alcoholics, one woman told the group that she had experienced frustration from many years of infertility and tremendous joy when she finally conceived. Her many expectations were shattered, however, when the child was born with Down’s syndrome. If we wish to know how God will relate to us, the answer is simple: exactly in the same way we relate to others. If we demand perfection from others, He will demand it of us. If we can love others even though they do not measure up to our standards and expectations, then He will love us in spite of our shortcomings. …try to relate to people in the same manner I would wish God to relate to me. I thought it appropriate to pause from the strife and drama that often characterizes the religious blogosphere and social media in general and take on a different tone. It is, after all, the American holiday of Thanksgiving which should, in theory, mean something more than gorging on turkey, stuffing, and pumpkin pie. Given recent events and on which side of the fence people find themselves, it might be very difficult for some of them (us) to experience any sense of thankfulness or gratitude. In fact, the primary emotion many folks seem to be experiencing is about as far from peace and being grateful as you can get. There’s a lot of virtual yelling on the web and much, much worse going on in the real world. I think it’s important to take a step back from all this and realize that how we treat each other matters. Confession time. If you’ve read my blog over the years, you’ve seen me in fight mode before. I can be combative, rude, unpleasant. I have engaged in labeling and ad hominem. It is one of my character deficiencies. “Oh, yes, Derek, we’ve met,” he chuckled. “Don’t you remember?” And then he kindly let me know he had no hard feelings and that we could move forward as friends. It’s great to have people like that in the world. The next person I made peace with might surprise you, if you’ve followed me for long. Tim Hegg. He’s always here working with Accordance Bible Software. I am an Accordance user and needed some help learning how to do more in-depth Hebrew searches. I approached Tim who simply smiled and received me as a friend. If these names don’t mean anything to you, don’t worry. The point is that Derek encountered other theologians at the conference with whom he has “sparred” in the past and who nevertheless, were gracious and approachable. I’m convinced that in times of strife, we all need to learn to get past our emotions and see the people with whom we are arguing, not as opponents or enemies, but as other people who are just like us, people who are also children of God and made in His Holy Image. Would we dare treat a holy person with disrespect? Would we have the audacity to spit in the face of the Holy Image? 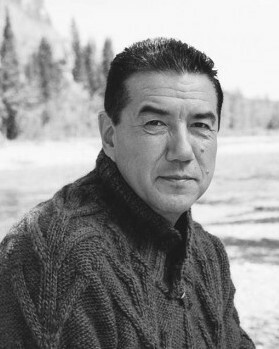 Lakanta (Tom Jackson): What do you think is sacred to us here? Wesley Crusher (Wil Wheaton): Maybe the necklace you’re wearing? The designs on the walls? Lakanta: Everything is sacred to us – the buildings, the food, the sky, the dirt beneath your feet – and you. Whether you believe in your spirit or not, we believe in it. You are a sacred person here, Wesley. Wesley Crusher: I think that’s the first time anyone’s used that particular word to describe me. Lakanta: You must treat yourself with respect. To do otherwise is to desecrate something that is holy. Wesley Crusher: Is that what you think I’ve been doing? …and thus desecrating many holy people. I’m as guilty of this as anyone else, and so I must accept my share of responsibility for my failures. That means I am repenting of the harsh words and attitudes I’ve expressed toward some of you and am asking for forgiveness from each of you. I also forgive anyone who has offended me. May no one be punished because of me. The Baal Shem Tov probably didn’t use Yeshua as his source material but they both seemed to think along the same lines. When we treat others with disrespect, not only are we committing desecration against a holy person but we are inviting God to treat us with disrespect. Conversely, when we act respectfully toward another person, particularly someone with whom we previously have had “problems,” what does that say about how God will treat us, “problems” and all? When we forgive someone who has contended with us, will God not then forgive us of our contentious natures? I hope the interpretation of the above-quoted scripture is abundantly obvious. If we expect to be forgiven our debts or offenses to God, we must forgive the debts of others and how they may have offended us. 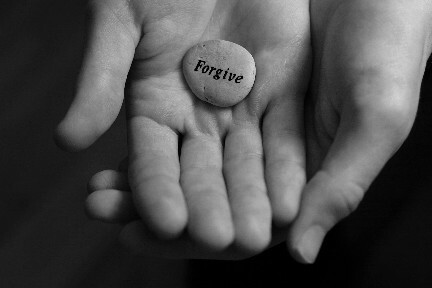 The Master’s parable about forgiveness starkly outlines the consequences for failure. Derek presents us with a positive example of forgiveness and I encourage you to click the link to his blog I provided above and read the full content. Once relieved of the burden of grudges, bad attitudes, and an unforgiving spirit, I suspect that you and I will be able to find many things to be grateful for today and for the days that follow. Chag Hodaya Sameach, James. Joyous Thanksgiving Feast friend. Thanks, Tony. Same to you. I do not doubt that anyone who has examined the ‘Lord’s Prayer’ is unaware of the need for forgiveness in all of us. Humans are a tragically doomed race without Yeshua, and the gift of G-d’s grace in Yeshua, because we are flawed. Yet at the time the ‘Lord’s Prayer’ was given to the Disciples, Yeshua was not dead and resurrected, but very much alive, walking out the Torah in perfection, and telling those who followed them how to gain G-d’s forgiveness as a Jew in non-messianic Judaism. How a human without a Redeemer is saved…by the actions he does, and the things that he thinks, for of those thoughts are the actions made. If I do not forgive those who offend me, not only will G-d be disinclined to forgive me when I offend Him, which I do of my nature alone. I am a broken thing, a son of the race of Man, whom Abba gave free will to, along with the consequences of our choices operating in a world that is crumbling because of the same changes G-d made in the universe to make it operate in accordance with our choices. I believe this, and am always attempting to rub out the least trace of the unforgiveness that may still linger. I ask regularly to be shown not just my faults by the Ruach haKodesh, but also anything I have left unforgiven, that I may forgive it. I don’t like being in a state of offense. I try to find reasons at the first flare of anger to see where I have contributed to whatever unhappy situation I wind up in, lest I have unforgiveness, or even anger. I try to see where it is that I have failed that has created, or helped to create any situation I am a part of that I am not pleased with. Nothing happens in our relationships, where forgiveness is most needed, that we have not also helped to create. I think it a rare thing for something needing to be forgiven by someone we know or by us about someone we know to not have our dirty fingerprints on it as well as the offending part. Those problems and offences that occur simply because our actions are reacting on other people’s reactions, like ever widening ripples in a still pond being hit by a shower of pebbles I am deliberately not including in this discussion. I try to live in unforgiveness as an active quality, mostly because I can shed any anger once I gain the understanding that comes the moment I discover my part of the combined actions that have created the situation making me, or others, unhappy. Even so, how can any of us rest in our actions, when we know we are imperfect? Our forgiveness of others will always have a bit of hesitation to it, a qualm, a hanging back that we cannot help because we are not perfect. If I rest in what I do to forgive, actively, or be thankful, actively, or to worship actively, I will find myself less than adequate, and so will G-d. I find myself less than adequate now, but I rest in Yeshua’s rest because He gave it to me. I would be tearing myself to bits hour by hour as I did when I thought I actually had the power to be perfect. When I found out that I did not have the ability to forgive as I should, nor to live as I wanted to, it was the greatest relief anyone could have, and the receipt of a very huge gift from Abba. Is this not the reason for our Mashiach’s coming as the Suffering Servant, and taking all the remaining marginal imperfection onto Himself that I may have left on my record, along with all the grave and blatant sins that I committed, at one time or another in my life, that together was laid on Yeshua’s shoulders at the tree? It is the same reason for the thanksgiving, prayer and blessings that we all offer up far more often than a single day a year of celebration in memory of America’s first settlers having survived to reach a sufficient harvest to make it to the next year. Any true Believer in YHVH is going to walk in forgiveness, and thanksgiving, and in worship of the G-d we serve, not merely because we should, but because those things…forgiveness, thanksgiving, and worship of G-d do make us live happily. Our Teacher said so, and asked us to follow after Him, that Our Father would be made happy in us, by our being like Yeshua to the extent of our ability. Most Gentiles cannot really learn the way to forgive, or to be thankful, and worshipful of God’s grace in Yeshua without the rest that Yeshua brought with Him at His death, resurrection, and ascension, and by the giving of the Ruach haKodesh to those that believe. Some try in new age or psychologically driven ways, and succeed to a point. 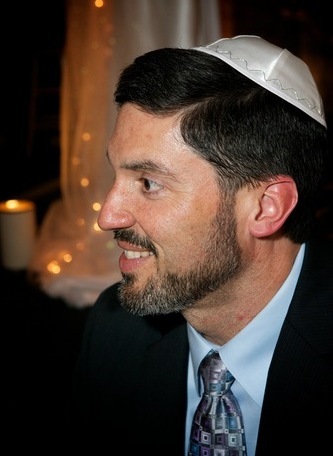 Many Jews and a few very well brought and taught Gentiles many know about YHVH, and even walk uprightly, but they don’t have the rest that spurs on more effort to forgive, and to be thankful, and in our worship of G-d make again and again our attempts to let G-d know how very aware we are of the grace that was given us. Your Meditation, James, was thus the more appreciated by your tying forgiveness into a day of Thanksgiving as a reminder of what we ought always to be doing. My thanks to you that you give me a place to air my thoughts, and my apologies and request for forgiveness from you, if I have offended in any way. @Daniel and Ro: Thank you. @Questor: I have a sort of follow up blog post publishing Sunday morning about repentance and forgiveness in the face of disasters and our own sins. If we are unable to forgive ourselves for our many faults and feel unworthy to be forgiven by God, how will we be able to forgive others? Even in the face of injustice, Yeshua requested that his accusers be forgiven. When I am in a position that I need to forgive, I often confuse forgiveness with acceptance of behavior. Forgiveness is not accepting a behavior, it is the act of no longer holding resent towards an offense against you, whether intentional or unintentional. I think the hardest offense to forgive is the intentional offense. However, from my own experience, I tend to consider all acts of offense as intentional before I even clarify with the offender. Many times the offender is not trying to be hurtful or mean, but my perception is clearly different than theirs. In the example above from Yeshua, even though the offenders were consciously seeking harm, he knew that they did not clearly understand what they were doing, so did not consider their offense as intentional. Forgiveness is the best prescription to cure bitter emotions. Forgiveness doesn’t always mean reconciliation. For example, a woman can be married to a man who physically abusers her and their children. She can learn to forgive him, but that’s not inconsistent with divorcing him for the sake of her safety and that of her children. Of course, when God forgives us, we first must repent of our sins and permanently change your ways. We can’t be forgiven if we keep willfully doing the same sin over and over again. I suppose it would work the same way with the theoretical abusive husband. He may say he’s sorry and ask forgiveness, but if he continues with his violent behavior, then obviously he didn’t repent. And even if he did, depending on the circumstances, the trust between the couple may be so damaged that even if she’s able to eventually forgive him, she might still not be able to live with him and truly feel safe. The difference between forgiveness on a strictly human to human level and between a person and God is that we don’t have the capacity to hurt God. He can be more forgiving because He doesn’t have to “worry” about being hurt by what we say or do.